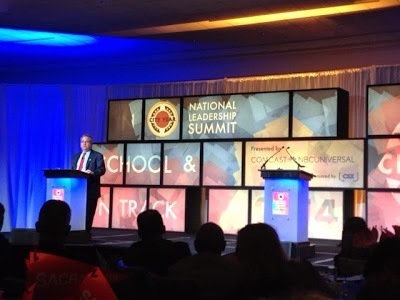 The City Year national leadership conference is taking place in Boston this week, celebrating the 25th anniversary of City Year. CY is a strong example of a social-change organization that is in the process of actually making an impact on a key social problem. CY’s goal is specific and audacious: to improve the high school graduation rate in the nation’s poorest-performing schools. And it works on the basis of a data-driven plan of work: to place teams of corps members in challenged schools to provide near-peer support for at-risk children. There is good statistical evidence showing that this system works. The strongest implementation of this theory is a program called Diplomas Now (link). Two things are unique about the City Year movement. One is its organizational structure. It is a national organization with a highly professional staff in Boston. The national organization provides the research capacity and strategic planning that the organization pursues throughout the country. And there are 25 cities in the US, as well as sites in South Africa and the UK, that have their own local staffs and committed site boards. This structure permits a great combination of national strategy and local adaptation and resource gathering that permits strong impact throughout the country. The other distinctive feature of the City Year movement is the sharp focus the leaders of City Year have placed on impact. It is not enough to mobilize several thousand young people in a year of service; it is crucial that their efforts should pay off in terms of important social outcomes. This focus on measurable impact has increased dramatically in the past 15 years. The organization has shifted from the development of the young people in the corps, to measurable improvement in raising the high school graduation rate in the country’s most challenged schools. This results-oriented leadership and focus helps the organization move forward in impact and scope every year. So congratulations, Michael Brown and all the leaders and founders of this remarkable organization. Twenty-five years on and City Year is well on its way to closing the gap in opportunity and hope for urban young people throughout the United States.